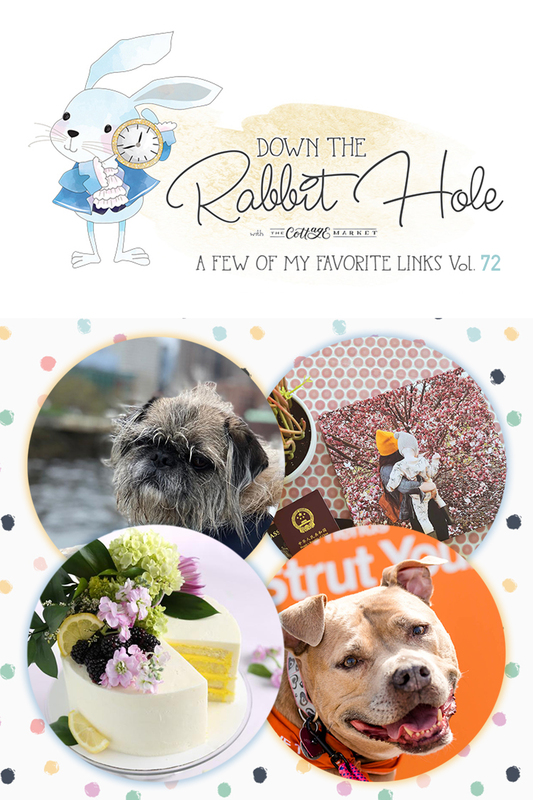 Down the Rabbit Hole // Where Cool Links & Pet Charity Meet!!!!! 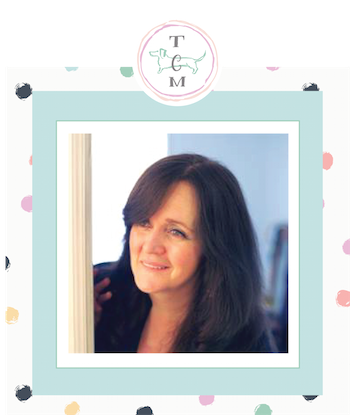 Hello my friends…so glad you are going to Jump Down The Rabbit Hole Today! It is filled with Fun and Interesting Links. There is one that I absolutely LOVE…you will see it…it is called Pasta Grannies! I wish my Grandmother was alive to be a part of this incredible project. Italian Grandmothers of ALL ages (including late 90’s) are joining together to share their Family Recipes and preserve them here on film. These little ladies are so cute and funny but man can they make a mean Gnocchi and Pastas. Even if you are not Italian…you should check it out. There is one little lady that reminds me so much of my Grandma which makes it all the sweeter! Also there is a really fun Artist for you…he might night be another Money or Picasso…but his art is too cool! Then as always we have our Instagram Pet Star and our Pet Charity of the Week which is Rescue Dogs Rock (scroll down to find out more!) …we have supported them in the past but they need some EXTRA HELP…I won’t go into details…but trust me…they need it! So don’t forget to leave your comment! Here’s a bit of information about Down The Rabbit Hole! I am thrilled that you are joining us today. You never know where each link will lead you and where you will go next. 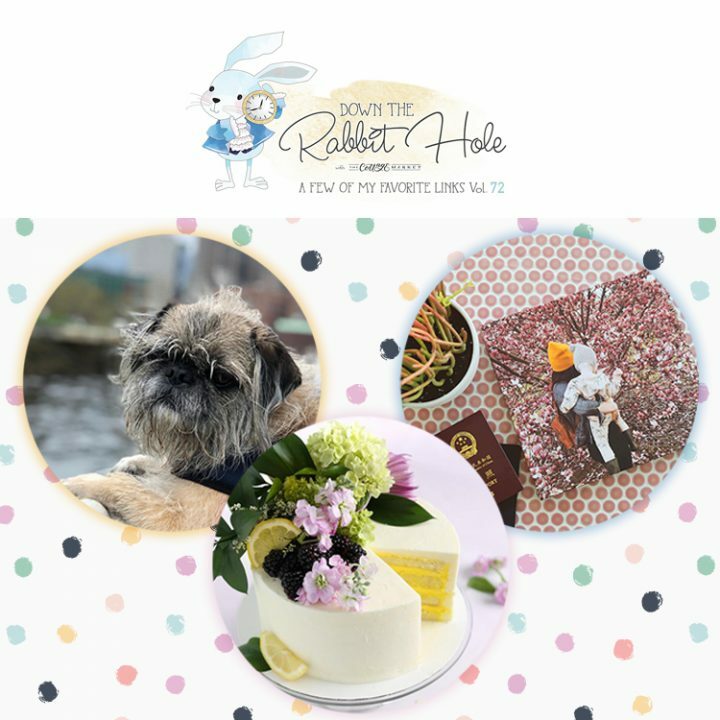 Down The Rabbit Hole is also a place to give back…for every comment you make a dollar is donated to the Pet Charity of the Week along with a base donation of $25 : ) So leave your comments and you will be giving back to a great Pet Charity each and every time! Today we are doubling that…so it will be $2 a comment : ) Thanks for visiting. A Mix Named Inky is a real cool dude! My NEWEST most favorite watch! Keeping Food Traditions ALIVE! Makes me miss my Grandma! What? She’s 81…looks like this and does what? 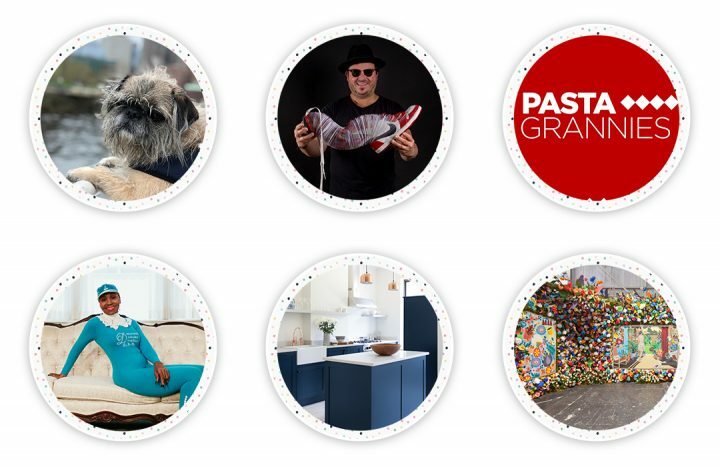 Plus Zero Waste Lifestyle in NYC…AMAZING! A beautiful minimalistic Bright Blue, Budget-Forward Kitchen In Brooklyn! You can steal the LOOK! Street Art is getting its do in LA…come and see Beyond The Streets…room-filling installations and Street Art History…AWESOME and FUN! Make an upholstered footstool and there is NO SEWING…Count me in! 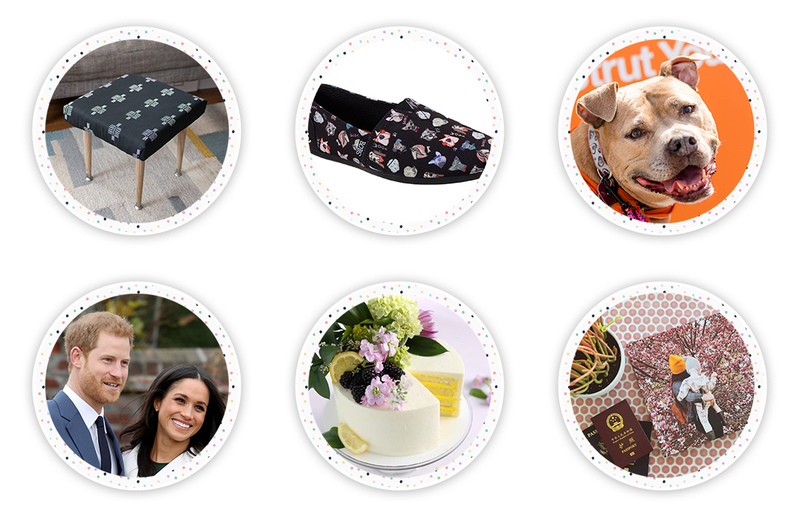 Come and support Best Friends Animal Shelter when you buy a pair of Bob’s Skechers …SO cute and they lend a helping paw…LOVE when you buy and it gives back…check it out! 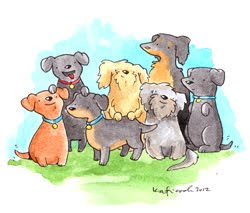 Mark your Calendars for Best Friends Strut Your Mutt…Save them all Events…there might be one coming near you…we are sooooo going to the one in October in NYC…maybe we will see you there? Since most of us did not get an invite to the Royal Wedding today…I thought I would share what cake they are serving up! So pretty and so much better than the traditional Fruit Cake…but there will be one on hand! Many friend of Down The Rabbit Hole have been following the Story of Nova’s Adoption…come and see her Adoption Story Photo Book…it will melt your heart! 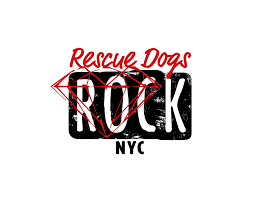 Charity of the Week: Rescue Dogs Rock NYC! RDRNYC is a 501c3, volunteer & foster based rescue. Our mission is to save abused & at risk dogs from kill shelters & provide vetting & loving homes. For more Fun Dog Links…click here! I love the idea of filming older people. I have forgotten what my Mom’s voice sounded like and I would give anything to have her on tape. I ❤️ Nova’s sweet family & their story of coming together! Can’t wait to check out the ottoman! Hi there Melanie! Let me know if you make one! It is on my TO DO LIST for sure!!! Sending hugs and wishes for a beautiful day! The photo book of Nova’s adoption is a beautiful way to tell a story. Hi there Shelley! I LOVE the book…what a treasure that will be. I sure wish that I had that when my kids were little…maybe in the future I will get to do it for a grandchild : ) Sending hugs and wishes for a wonderful day! People and animals of all ages are amazing! Thanks for putting all these stories together for today. I must try that ottoman DIY. Hi there Debra! How are you. So glad you enjoyed this weeks posts. Everyone wants to try that ottoman including me lol! Sending tons of hugs to you and yours! Animals ROCK!!! Wishes for a wonderful day! The 3 ladies stories are each inspiring in their own way. That 81 year old body builder is just amazing!